Unique. Hard working. Longevity. Prolific songsmith. A Good Guy. Many books have been written about Bruce Springsteen - this is not another. Loved him since the CBS publicity machine took over in 1975 asking in a poster campaign "Is London Ready For The Future of Rock and Roll ?" 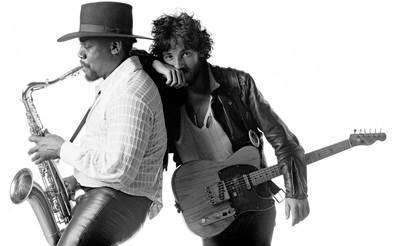 - which Springsteen famously hated. Really, one album could give you enough to know how good he is. Born To Run sounds as good now as when it was released. Released in 1975 and has eight magnificent tracks. 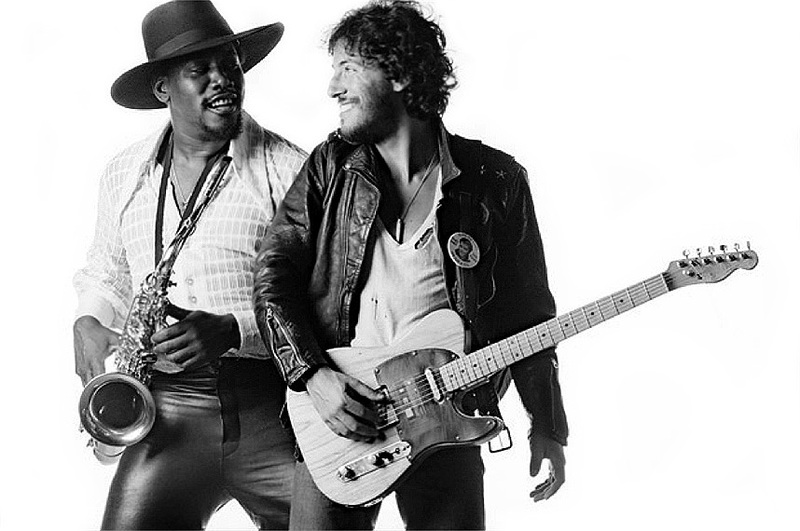 "Thunder Road", "Tenth Avenue Freeze Out", "Night", "Back Streets", "Born To Run", "She's The One", "Meeting Across The River" and "Jungleland". 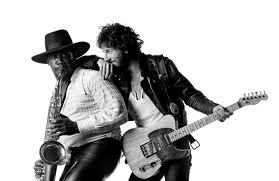 The E Street Band featuring 'The Big Man' Clarence Clemons on saxophone and 'Little' Stevie van Zandt on guitar were just so good. 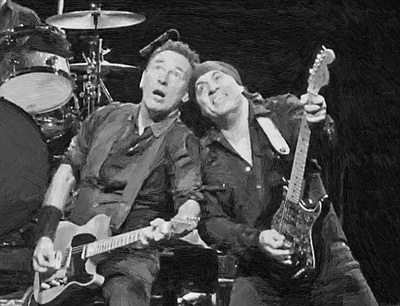 Later the great Nils Lofgren joined. Born In The USA, The River, The Rising, Magic and Darkness On The Edge Of Town are all fabulous and could grace any rock fans shelf. I was lucky enough to see Springsteen and the E Street Band in 2008 at Arsenal's Emirates Stadium. I was surprised at the urgency of it all - "1,2,3,4" from Bruce and straight into a number, then "Thank you" maybe, a short introduction from the man and then "1,2,3,4" and into the next one. 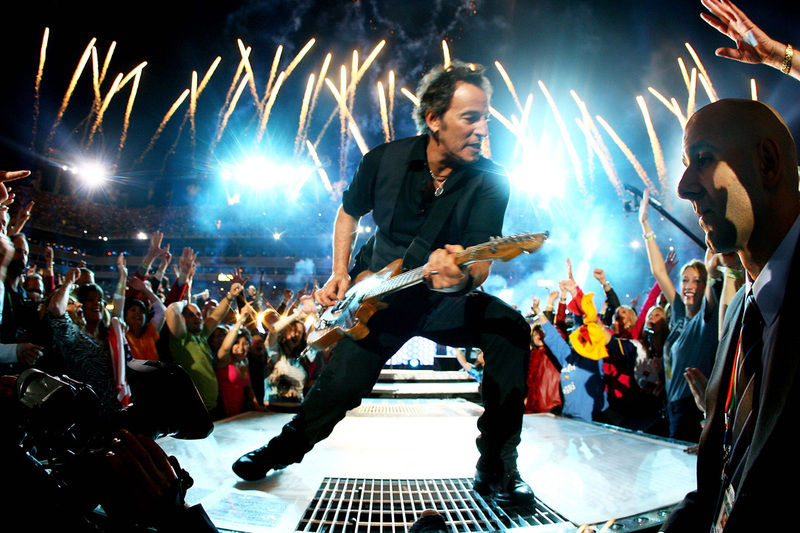 Other members of the band had a breather, but Bruce was on stage working the audience for the whole show. 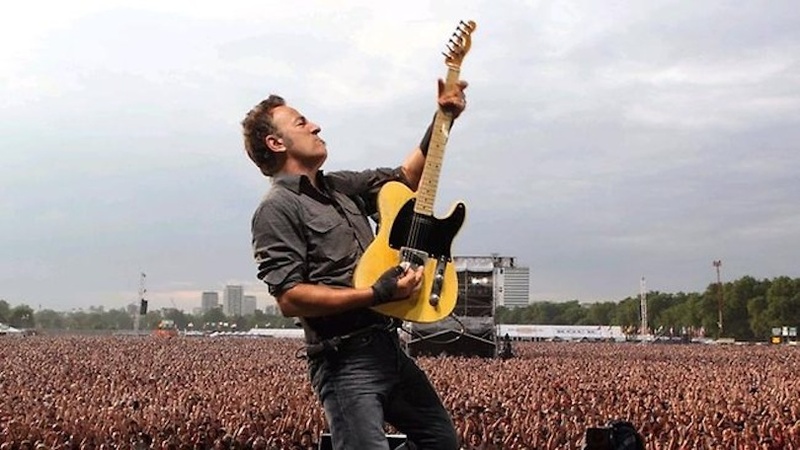 Springsteen is notorious for his long gigs (3 and a half hours is not unusual) and in 2012 I witnessed the plug being pulled on him and Paul McCartney at the Hard Rock gig in London's Hyde Park. 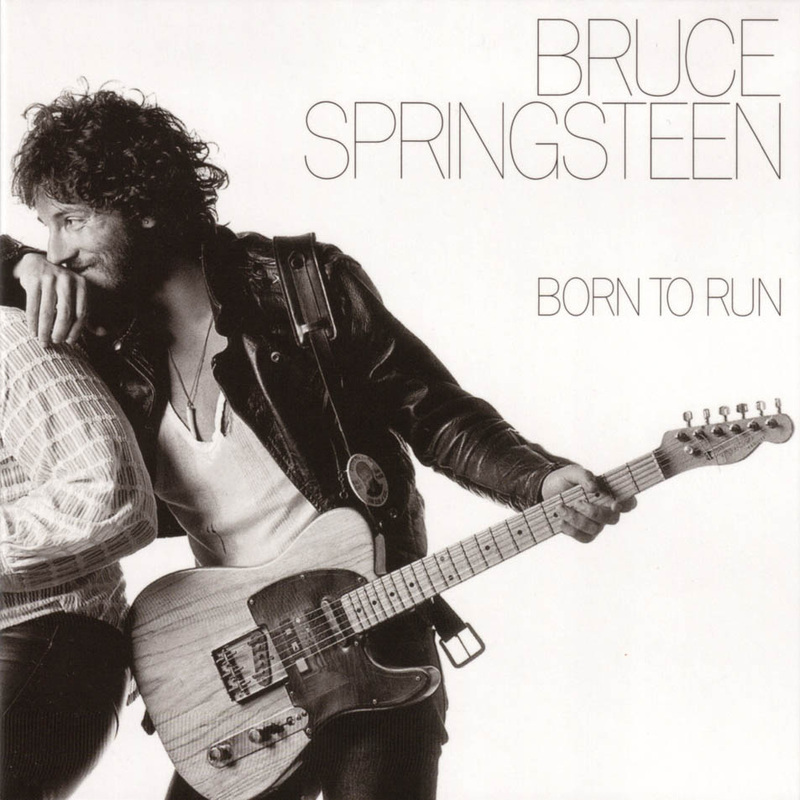 Baby, we were born to run"